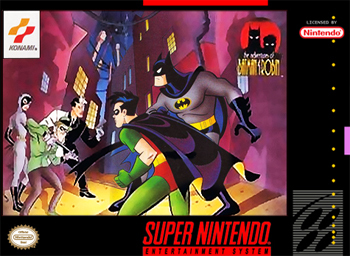 The Adventures of Batman & Robin for Super Nintendo allows you play as the dynamic duo as you explore the streets of Gotham to eliminate crime and violence. You have a handful of Bat-weapons to choose from as you use the Batcave as headquarters. Battle Batman's greatest known archenemies like the Joker and the Pengguin before they can take over Gotham. Playing the Adventures of Batman and Robin will make you feel like you are inside and part of the famous tv show.